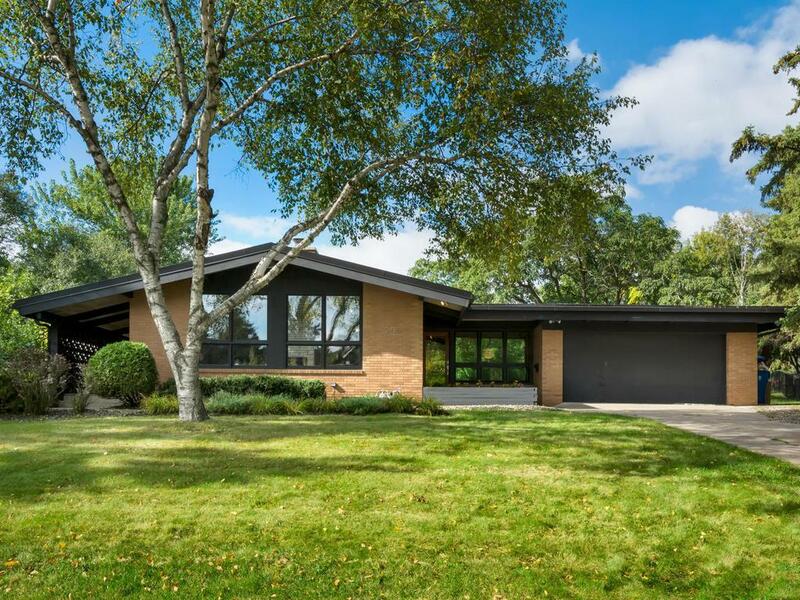 Stunning mid-century Golden Valley rambler! Large windows & vaulted ceilings bathe this home in natural light. Dramatic double-sided marble fireplace adds interest and warmth. Modern kitchen & baths. Kick back in the main floor living room featured on HGTVs Renovation Raiders. 3 beds on main. Plenty of space to play in the spacious, fully fenced backyard. So many updates: HVAC, most windows, flooring, baths, kitchen & more. Amazing blend of original charm & new design!